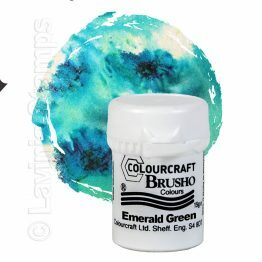 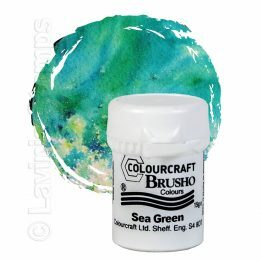 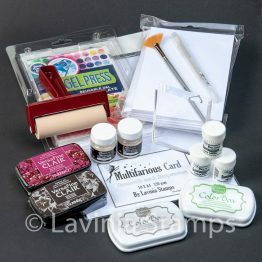 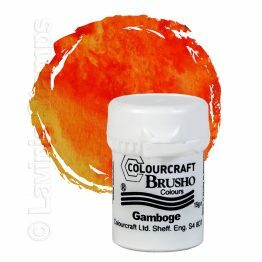 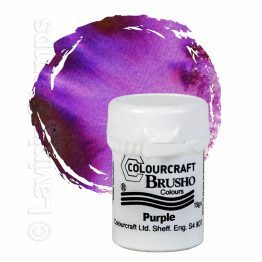 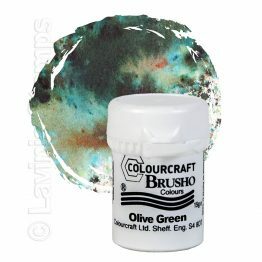 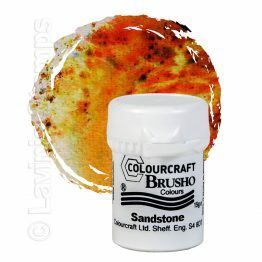 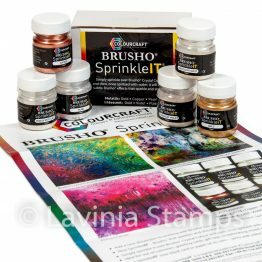 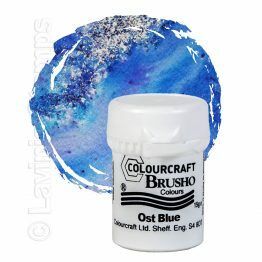 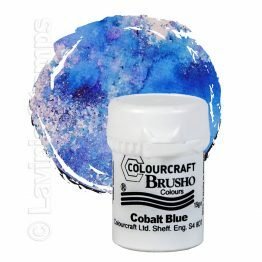 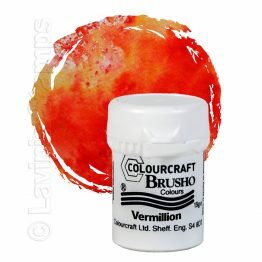 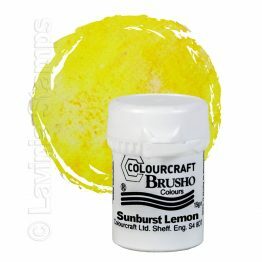 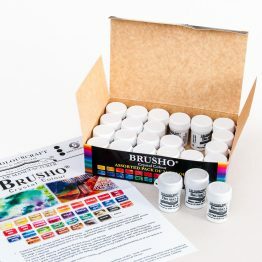 Here we have another tutorial, this time on the fabulous Brusho inks which we now sell in sets of 12 and 24. 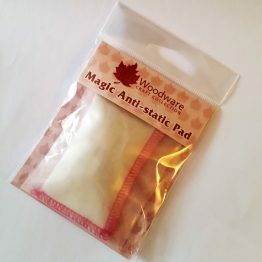 As you can see from the video I am using quite a thick matt absorbent card stock, this is so the card doesn’t become too saturated when we spray the water on. 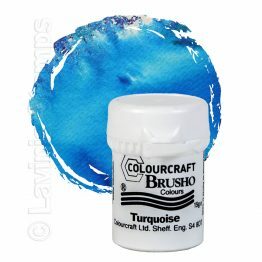 The thicker it is the better it also keeps its shape. 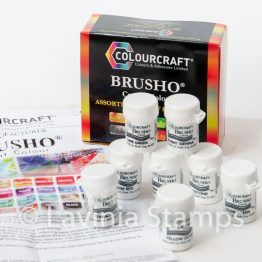 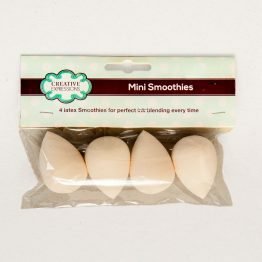 A smoother surface is always a bonus as this helps give a clearer image when stamping onto the card. 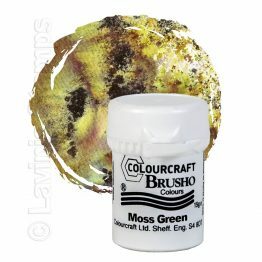 Something I have been playing with recently is the Wow embossing powders, simply because they work so well with the brusho ink backgrounds. 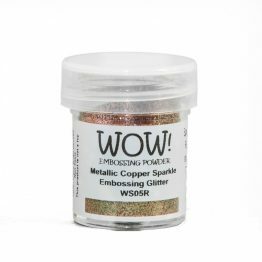 The glitter and metallic embossing powders create incredible dimension to your project, the copper colours work particularly well with the green and deep blue brusho powders these products complement one another so well, I have really enjoyed experimenting with these two versatile products, we are now stocking some carefully selected WOW embossing powders, if you hover your cursor over the image we have created a card displaying very clearly the true colour of each embossing powder, making your choice much easier. 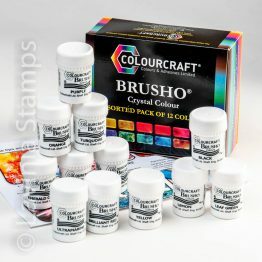 We do hope you enjoy watching the tutorial on the Brushos and hope it inspires you to have a go at these fabulous powders.